Imagine a restaurant where individuals of different heritage, age, ethical food preference, religion and income can all enjoy a meal together without having to worry about how they are going to afford it? Too good to be true? 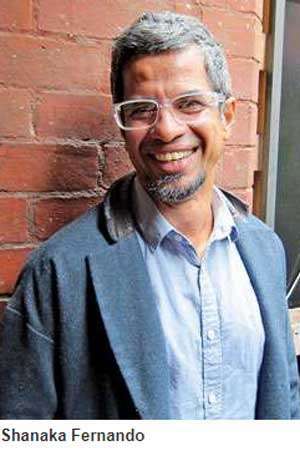 It should be, but one man has done absolutely that - Shanaka Fernando, a Sri Lankan that has been living in Melbourne since leaving Sri Lanka many years ago after failing his Ordinary Level examinations. 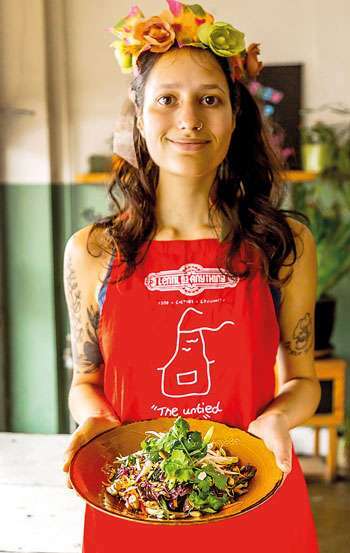 With a catchy restaurant title “Lentil As Anything” (a play on words of the famous Aussie band “Mental As Anything”) and four locations across Australia, the premise of the restaurant is “Food Without Borders” – meaning that everyone should have access to a healthy meal, in a safe, warm environment with the added bonus of getting to know others in your community that you may not normally come into contact with. Over the last 18 years Shanaka has certainly achieved this. Lentil As Anything has provided 41 million meals to people from an ever changing a la carte menu or a lunch buffet with all the food being vegetarian/vegan in keeping with the ethos of taking care of everyone, including animals and the environment. Lentil As Anything doesn’t market itself as a vegetarian restaurant so as to appeal to a wide array of people who are usually very surprised that they sat down to such a filling, delicious meal that was all veg! There are handy guides located in the restaurants to explain the payment structure with the suggested amount you can contribute and how your money will fund the restaurant. Even if you are unable to contribute financially there are many other ways to pay for your meal such as volunteering. The Daily Mirror spoke to the brains behind the restaurants, Shanaka, about what inspired him to start such a venture. “I was most provoked by the people of Sri Lanka during my growing up years. An unconditional form of generosity that cut through the class divides stood out against the backdrop of war and social injustice. People smiled, gave warmth and love despite everything indicating a state of impoverishment” he advised. “After three years of living in Australia, I spent six years with tribal societies in the forest experiencing the happiness that a simple life of feeling brings. This is why I came back to Melbourne and started a pay as you feel restaurant,” he said. Considering that 60% of restaurants in Australia close within the first year, it’s a testament to Shanaka and the team that they’ve created a sustainable business model that’s successful. One of the issues they face is dishonesty among visitors. 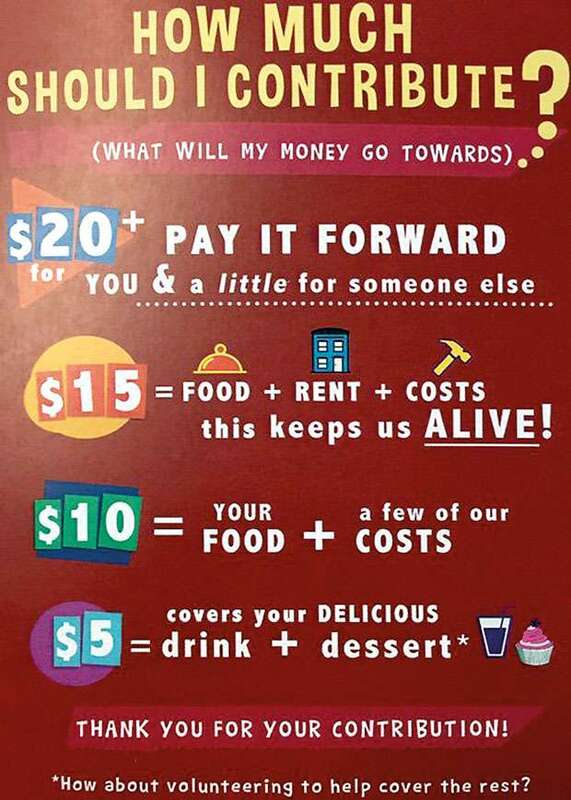 If restaurant goers follow the price guidelines it should balance out, the person at the table next to you may only be able to contribute $2, but if you can afford $20 then your small gesture of kindness has funded someone less fortunate and that is sure to make you feel good inside (and not just from the yummy food!). Shanaka hasn’t just stopped at creating these super popular restaurants. Lentils As Anything also offers a vegan catering service in Melbourne. There’s the Urban Garden collective with locations in Melbourne which gives the community a chance to bring together their skills to grow food not only for themselves but also for the restaurants to make the business as sustainable as possible and to cut down on food miles as well as unnecessary plastic packaging. Another brainchild of Shanaka is the Food Rescue Program. Volunteers collect good quality food that would normally be thrown out due to cosmetic reasons or dented packaging. By connecting with local businesses, farmers markets, supermarkets and bakeries this food is used in the Lentil as Anything’s kitchens and the brand new “Inconvenience Store”– the very first pay as you feel supermarket in Victoria (the concept has already been successful in Toronto). Run completely on donated and rescued plant-based food, it gives those who can afford to pay a bit extra, which in turn will help out those in the community that don’t have access to healthy foods. Donations to the supermarket will also go towards their overheads such as transport, storage and bills. We asked Shanaka if he thought a concept like this could work in Sri Lanka? “Absolutely! Outside of its confused and corrupted urban culture is the heart and conscience of the country in Sri Lanka’s rural population which is still in the majority. These people would instinctively embrace a trust-based enterprise as it’s basically an ongoing dansala” Shanaka said. As countries develop you see them move away from a village community model where people shared resources with each other and protected those who were vulnerable. Whereas developed countries are noticing that this impersonal form of society with such a rampant use of technology is actually creating loneliness and isolation. We asked Shanaka if he thinks we can get back to a community that supports and cares for each other. Shanaka thinks it is possible “I have given up my mobile phone and live relatively tech free and am moving towards abandoning all forms of it. It’s a toxic distraction from the essence of life. Europe is progressing rapidly into a village based value system that focuses on people connecting with each other in person, eating in a way that recognizes our custodianship of the environment which many Sri Lankans are already way ahead of in these aspects”. Lentil as Anything also has a strong volunteer component with at least some 1000 volunteers helping out per year. Many people help out in the kitchen to pay for their meal due to limited income. Asylum seekers without English skills are able to get an opportunity for work experience and to learn English and Lentil as Anything has had volunteers from all over the world. Sufferers of mental and physical conditions who may be prevented from working full time are able to work in supportive environment, free from judgement. It’s not just the vulnerable, there are many young people volunteering who just want to get experience in the hospitality industry in an environment that’s positive and friendly. Although each outlet can serve thousands of meals a day, interviews with the staff show they really enjoy their work and the friendships and support systems they form with each other. 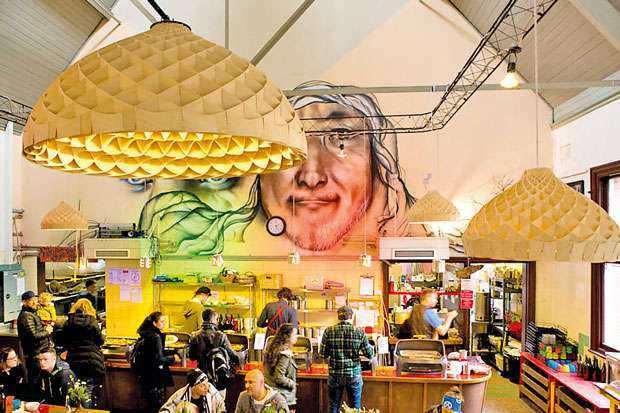 The restaurants also serve as a space for local artists, musicians, and writers to express themselves through performances and exhibitions. While it’s evident from Shanaka’s years of helping people that he seems to have found the key to happiness we asked him what his secret is for living a healthy and happy life?